Luke Nicholls is licensed Commercial Real Estate Agent focusing on Multi-Family Brokerage and Development. He partners with John Hamilton to form a multi-family brokerage team that can provide a wide range of services to multi-family clients in Louisiana, Mississippi, Texas, and Arkansas. 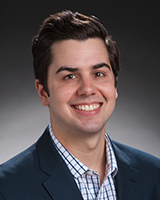 Luke has been working in the commercial real estate market since 2014, and has experience in asset management, budgeting, real estate valuations, and brokerage. Luke holds a Bachelor’s of Science in Accounting from Louisiana State University-Shreveport. In addition, Luke studied International economics, business relations, and business law in Luneburg, Germany at Leuphana Universitad.